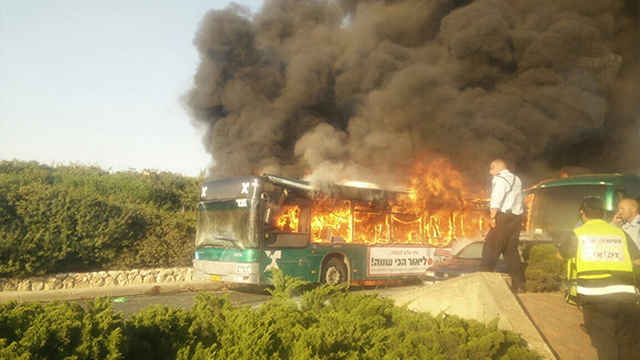 Monday’s bombing of a Jerusalem bus was apparently planned by a Hamas cell, and not by a lone terrorist. Israeli authorities have arrested several suspects from the Bethlehem area who were allegedly involved in the attack. It has been officially confirmed that the one person killed in the attack, in which 20 people were wounded, is the terrorist. The Jerusalem Police released a statement Thursday, saying, “Through intensive intelligence and field activity, the Shin Bet, the Israel Police, and the IDF arrested a number of suspects about a day after the attack on the Jerusalem bus – Hamas suspects from the Bethlehem area – who are suspected of being involved in planning the attack and executing it. Their questioning is in progress, and their identities are classified.” It was also officially confirmed that the person who was killed in the attack, which also wounded 20, is the terrorist who committed it. The Jerusalem Magistrate Court approved a request by investigators and lifted the gag order on the case, allowing details that could aid in identifying the suspects to be published. 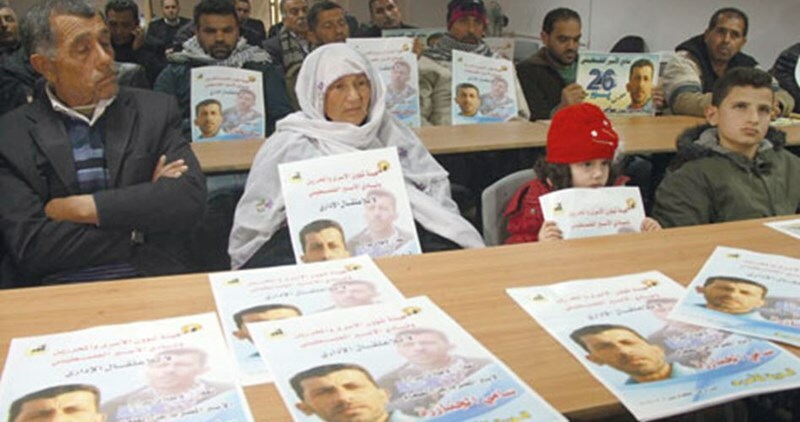 The health status of the Palestinian detainee Sami Janazra, 43, has remarkably deteriorated after 50 days of ongoing hunger strike in protest at being held without charge in the Israeli Negev desert jail, a rights group reported Thursday. 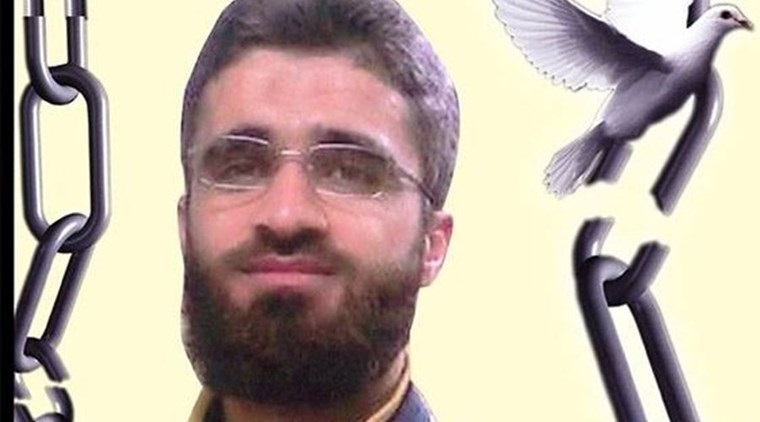 According to a statement by the Palestinian Prisoner Society (PPS), Sami Janazra has been on an open-ended hunger strike for 50 days running to protest administrative detention. A couple of days earlier, Janazra’s wife expressed concern, as she spoke in an exclusive statement to the PIC, over his exacerbating health status. A PIC journalist quoted her as stating that her husband has started suffering frequent fainting after he fell off his bed in the prison cell and was taken to hospital. Prisoner Janazra, from al-Khalil, to the south of the occupied West Bank, spent seven years in Israeli jails in separate arrests before being detained administratively on November 15, 2015, which made him declare an open-ended hunger strike 50 days ago. Prisoner Janazra is the father of three children, the eldest being in his 13’s of age. The Israeli Occupation Authorities (IOA) released Wednesday evening the Palestinian sick prisoner Wahid Abu Maria after paying a fine estimated at 6000 shekels. Abu Maria, from al-Khalil, suffers from frequent fainting and pulmonary edema as he had recently undergone an open-heart surgery. Abu Maria, a father of four children, spent 20 years in Israeli jails in five arrests most recently was in November 2015. His mother died while he was in prison. On the other hand, the Palestinian Prisoners Society (PPS) said that three Palestinian detainees from Bethlehem were subjected to brutal assault and beating during their arrest. The PPS lawyer Jaklin Fararja visited Wednesday Etzion detention center where 18 Palestinians are detained. The detainee Murad Taqatqa, 21, told the lawyer that he was severally beaten and dragged from his house to the Israeli military vehicle while he was handcuffed. The detainee Walid Taqatqa, 34, also affirmed that he was savagely beaten all over his body. For his part, Mahmoud al-Qurna, 23, said that he was dragged while handcuffed for a long distance and subjected to severe beating at the hands of Israeli soldiers. "I remained in handcuffs without drinking or eating from 3 a.m. to 2 p.m.", he said. His body was horribly bruised especially his hands, the layer pointed out. Israeli soldiers kidnapped, on Thursday at dawn, at least ten Palestinians in different parts of the occupied West Bank, during military invasions and searches of homes, the Palestinian Prisoners Society (PPS) has reported. One Palestinian was injured after being rammed by a settler’s car near Bethlehem. The PPS added that several Israeli army vehicles invaded Ni’lin town, northwest of Ramallah, in central West Bank, and kidnapped two Palestinians, identified as Saif Sameeh Srour, 18, and Soheib Fahmi Srour. The soldiers used explosives to detonate the door of Saif’s home, before breaking into the property and searching it. The army also invaded and searched many homes throughout the town, after smashing their front doors, and interrogated many Palestinians. In Bethlehem, the soldiers stormed and searched many homes, and kidnapped Mohammad Majdi al-Azza, Omar Sami al-Azza, and his brother Mohammad, while a child, identified as Ahmad al-‘Amour, 16, was kidnapped in Teqoua’ town, south of Bethlehem. Also in Bethlehem, a Palestinian was injured, near Israeli military roadblock #300, north of Bethlehem, after an Israeli settler rammed him with his car. 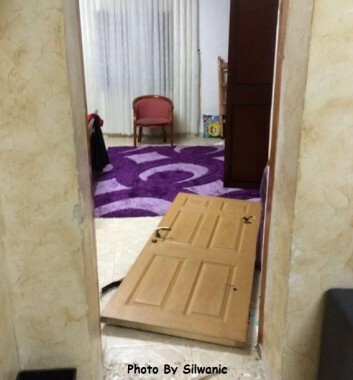 The settler fled the scene, while the Palestinian was rushed to a hospital in Bethlehem. In addition, the soldiers closed the Bridge area, linking between al-Khader and nearby villages and towns. In the northern West Bank district of Jenin, the soldiers kidnapped two Palestinians, identified as Kamal al-Almani, and Bara’ Ateyya, after stopping them at a roadblock. 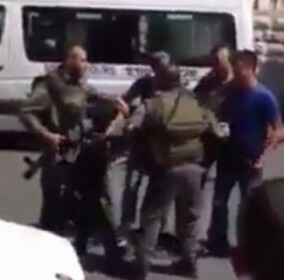 The soldiers also invaded Abu Dis town, east of occupied Jerusalem, and kidnapped one Palestinian, who remained unidentified until the time of this report. In addition, the army invaded Hebron city, in the southern part of the West Bank, also searched and ransacked homes, especially in Abu Sneina neighborhood, and kidnapped one Palestinian, identified as Jihad Ezzeddin Abu Turki. Many homes were also searched in Wad as-Somman area, and many other areas, in the southern part of Hebron city. At least 16 Palestinians were injured as clashes broke out Thursday morning in Abu Dis town east of occupied Jerusalem. The clashes erupted when heavily-armed Israeli policemen stormed at dawn today the town and carried out a search campaign in local homes and commercial shops. Israeli police spokeswoman Luba al-Samri claimed in a statement that Israeli police and border police forces found ammunition and raw material during its raid in Abu Dis. Two of the raided workshops were allegedly used to make explosive devices and weapons, she added. Al-Sumari declared the detention of an unidentified young man who was taken in for questioning at a police station in the illegal settlement of Maale Adumim. Quds Press affirmed that a youth was detained when Israeli forces stormed overnight al- al-Eizariya and Abu Dis towns. 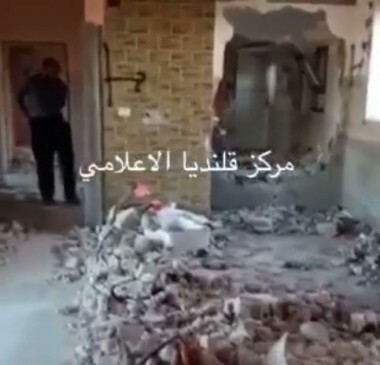 Several homes were violently stormed and searched during the raid which led to the outbreak of the clashes, the sources continued. 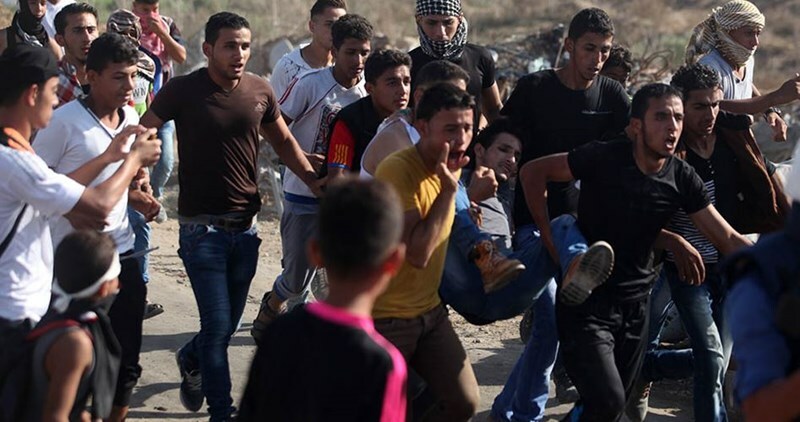 Palestinian Red Crescent said that 16 Palestinians were injured during the clashes, four of them hit by rubber-coated steel bullets while 12 others suffered tear gas suffocation. 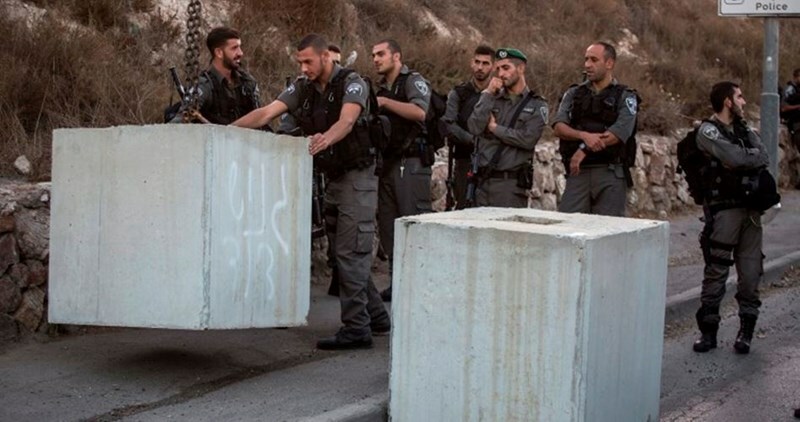 Meanwhile, the Israeli Occupation Forces (IOF) carried out Thursday morning a large-scale raid and arrest campaign across West Bank which led to the outbreak of violent clashes. In al-Khalil, Israeli forces stormed different neighborhoods and carried out raid and search operations. Several arrests were reported during the raids. According to the PIC reporter, two ex-prisoners’ homes were stormed and violently searched during the pre-dawn raid campaign. A young man was also arrested and taken to an unknown detention center after Israeli forces broke into his family’s house south of the city. A second young man was summoned for investigation as Israeli soldiers stormed his house in Fawwar refugee camp in al-Khalil. In Bethlehem, IOF soldiers arrested a 16-year-old boy from Takoa town and stormed a slain Palestinian’s house in Beit Fujar town. Another arrest was reported in Tulkarem, while violent raids and arrests were carried out in Ni’lin town in Ramallah. Similar raids were also reported in Salfit. The Israeli occupation forces (IOF) on Wednesday evening arrested a Palestinian youth as he tried to pass through a makeshift military checkpoint pitched in Jenin refugee camp, in the northern occupied West Bank. Local sources said the IOF kidnapped 19-year-old Kamal al-Almani on his way back home from Tulkarem city to Jenin. Many Palestinians have been kidnapped at Israeli makeshift checkpoints across the occupied West Bank. 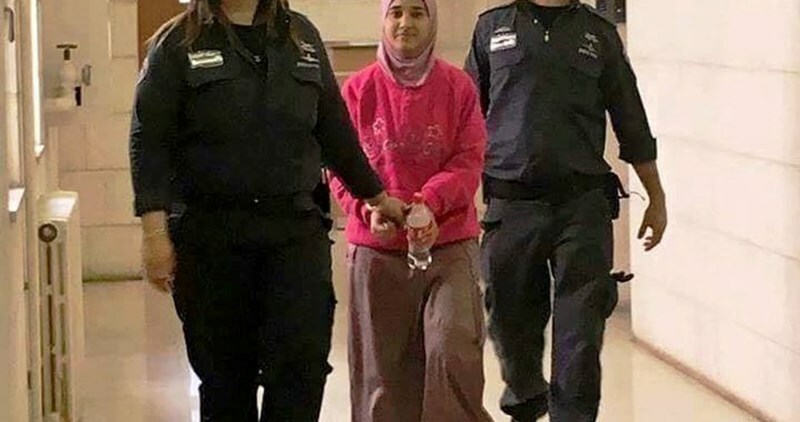 The Israeli Central Court, in Occupied Jerusalem, extended on Wednesday the detention of 25-year-old Palestinian journalist Samah Dweik pending a finalization of the verdict. Lawyer Ramzi Kteilat said the Israeli Magistrate Court ruled for releasing Dweik on certain conditions, but the prosecution objected to the decision and demanded its suspension. The central court approved the appeal and ruled for extending Dweik’s remand until the end of legal proceedings. The Israeli prosecution indicted journalist Dweik for incitement to violence via earlier statements posted on her Facebook account. Journalist Samah Dweik, held in the Ramla jail, was detained on April 10 after the Israeli occupation troops broke into her family home in Ras al-Amoud, in eastern Occupied Jerusalem. Israeli soldiers kidnapped, on Wednesday evening, a Palestinian child in Shu’fat neighborhood, in occupied Jerusalem, and a teenager at a military roadblock, near Tulkarem. Several Israeli military vehicles surrounded a car dealership belonging to Jamal Edrees, in Shu’fat neighborhood, in the center of Jerusalem, and searched it before kidnapping his son Majd, only 14 years of age. Jamal said the soldiers have repeatedly abducted and interrogated his son, under the pretext of participating in throwing stones on the nearby light rail. Also on Wednesday evening, the soldiers kidnapped a Palestinian, after stopping him on a sudden military roadblock, near Tulkarem, in the northern part of the West Bank. The Palestinian identified as Kamal Mohammad Taleb al-Almani, 19, was taken to a military base for interrogation. The Palestinian Prisoner Society (PPS) said Wednesday that Israeli prison soldiers stormed section 4 in Nafha jail and violently suppressed prisoners. 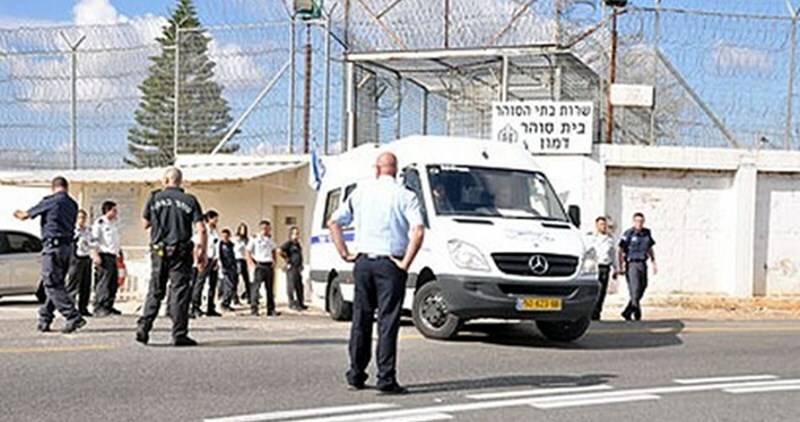 The PPS said that a state of growing tension has been prevailing in the prison since last week after prisoners' talks with Israeli jailers failed. The administration of Nafha jail has recently closed all the six sections of the prison and imposed repressive measures against all detainees, according to the society. In a related context, 18 prisoners in the jail have started a hunger strike in solidarity with hunger striking prisoner Shukri Khawaja, who has been isolated in Ramon prison for several months. 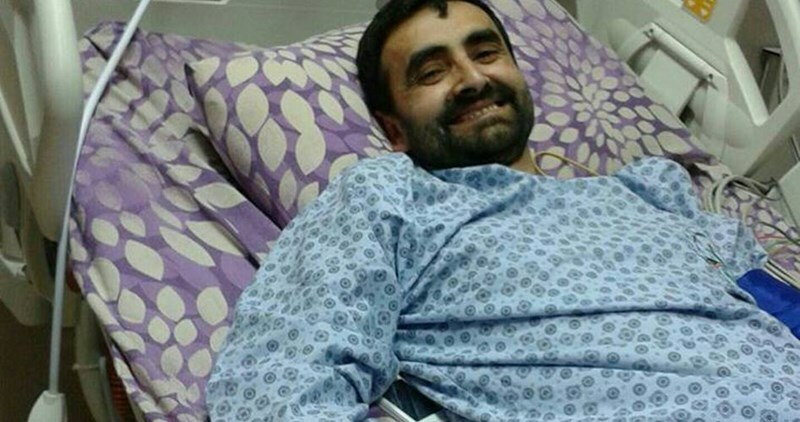 The health status of the Palestinian detainee Sami Janazra, 43, has remarkably deteriorated after 48 days of ongoing hunger strike in the Israeli Negev desert jail. Speaking in an exclusive statement to the PIC, Janazra’s wife expressed concern over his exacerbating health status. She added that her husband has started suffering frequent fainting after he fell off his bed in the prison cell and was taken to hospital. The lawyer was informed that Janazra might be moved to hospital in the coming hours. Prisoner Janazra, from al-Khalil, to the south of the occupied West Bank, spent seven years in Israeli jails in separate arrests before being detained administratively on November 15, 2015 which made him declare an open-ended hunger strike 48 days ago. The Israeli Occupation Forces (IOF) stormed Wednesday afternoon Azzoun town south of Qalqilia which led to the outbreak of violent clashes. Local sources told the PIC reporter that IOF closed the main entrance to Azzoun town before breaking into its neighborhoods amid heavy fire of teargas bombs. Several local shops were also raided while passing by citizens were stopped and investigated, the sources added. Local youths responded by throwing stones and empty bottles at the soldiers who were deployed in large numbers in the town. Also on Wednesday, Israeli policemen arrested a Palestinian young man during clashes that erupted in Katana village northwest of occupied Jerusalem. The clashes broke out when Israeli policemen stormed the village by the end of the school day and started firing teargas bombs at the students while leaving their schools, local activists reported. Several students choked on tear gas while nearby trees were burned due to the excessive use of teargas bombs. Local youths responded by stoning the Israeli policemen who tried to break into the secondary school in the village at the pretext of looking for students who were throwing stones but were prevented by the headmaster from entering the building. 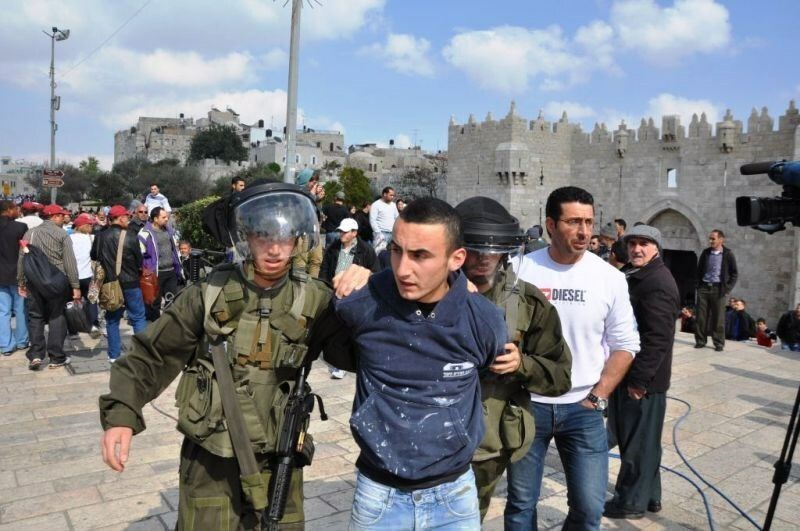 A Palestinian young man was arrested for allegedly being involved in the clashes. More than 40 Palestinians were arrested since the early morning hours during Israeli raids across West Bank and occupied Jerusalem. The Palestinian Prisoners Society (PPS) has reported that Israeli soldiers kidnapped at least 41 Palestinians, in different parts of the occupied West Bank, including Jerusalem, in extensive invasions into Palestinian communities, and violent searches of homes. 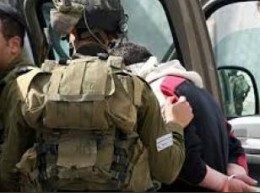 The PPS said the soldiers kidnapped five Palestinians in the Hebron district, in the southern part of the West Bank. They have been identified as Ibrahim Karim Makharza, Luay Mohammad Makharza, Nayef Mohammad Makharza, Enad Mohannad Makharza, and Mohannad Abdullah Ghatasha, 21. The soldiers also invaded several towns in the Ramallah and al-Biereh district, in central West bank, and kidnapped five Palestinians, after storming and searching their homes. The PPS said the kidnapped Palestinians have been identified as Hasan Mohammad Sajdiyya, 21, Yousef Thaer Farhan, 18, Mohammad Othman al-Masri, 21, Othman Mohammad Shallash, 38, and Mohammad Waleed Rabea’, 29. In Bethlehem, the soldiers kidnapped four Palestinians identified as Jihad Nofal al-‘Adaween, 31, Ahmad Mohammad al-Mashayekh, 19, from Bethlehem city, in addition to Khaled Mohammad Taqatqa, and Wisam Jamal Taqatqa, from Beit Fajjar town. Two Palestinians, identified as Monir Naim Adwan, 30, and Majd Ata Ali, 20, were kidnapped in the northern West Bank district of Tulkarem, while Amir Hashem Qadous was kidnapped in Nablus. The Palestinian Media Forum warned of the Israeli continued detention of the sick journalist Bassam al-Sayeh, calling for his immediate release. Israeli authorities have notably escalated repression policies against Palestinian sick prisoners, the Forum’s statement warned. More than 700 sick prisoners are currently held in Israeli jails, and subjected to deliberate medical negligence as they only receive painkillers and anesthetics despite their serious health condition, according to the statement. The PA committee for prisoners’ studies has said that the Israeli Prison Service (IPS) moved the Palestinian sick prisoner Bassam al-Sayeh from Eshel prison to Ramla prison hospital after his health condition deteriorated. The detained journalist Bassam al-Sayeh, who has been arrested since October 08, 2015, suffers from leukemia and bones cancer since 2011 in addition to severe pneumonia as well as weakness in the heart muscle. The Forum warned that al-Sayeh may face death at any moment due to his difficult health situation, calling for his immediate release. The statement also pointed out that an Israeli military court sentenced the journalist Mohamed Assida for 18 months in jail. 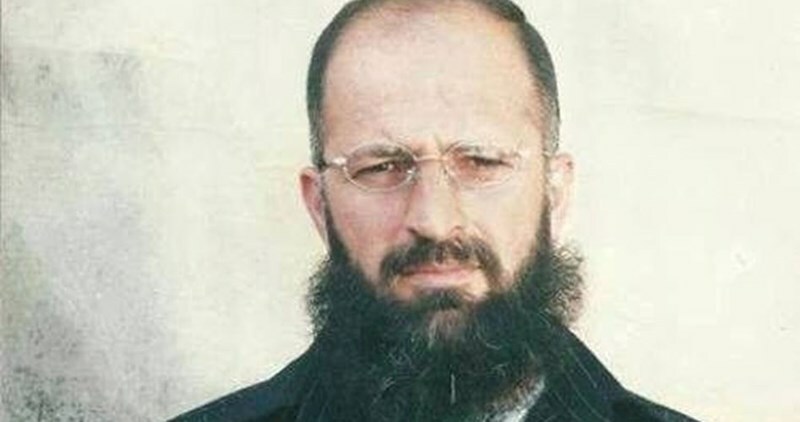 Mohamed Assida spent four years in Israeli jails in separate arrests. The Media Forum concluded its statement by calling on international human rights institutions to exert more pressure on the Israeli occupation authorities for the release of 18 Palestinian journalists. The Israeli occupation forces (IOF) on Tuesday evening kidnapped a Palestinian young men during his presence on a plot of land belonging to his family in Zububa village, northwest of Jenin city. According to local sources, Israeli soldiers kidnapped 22-year-old Ahmed Maqaldeh on a private piece of land near the segregation wall in Zububa town and took him to an undeclared place. Earlier, the Israeli army claimed it had arrested two Palestinians, from Beit Fajjar town in Bethlehem, near Gush Etzion settlement bloc. They are accused of attempting to carry out an attack against Israeli targets. The IOF also kidnapped on the same day several Palestinian citizens in different West Bank areas, including four female students studying at al-Quds University in Abu Dis town. 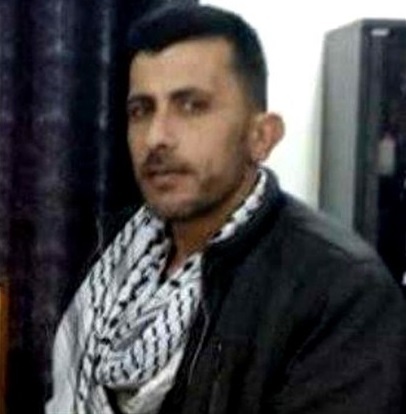 The Palestinian captive Mahmoud al-Suwaiti, 40, from Beit Awwa town in al-Khalil has been on hunger strike for eight days demanding resumption of family visits. The Palestinian Prisoner Society’s lawyer quoted detainee Muhanad Shreim who is held in Rimon jail as saying that the prison administration transferred captive Suwaiti to Soroka Hospital, but he refused to get treated or examined as a protest move. In the same context, the wife of detainee Suwaiti told the Society that Israeli authorities continued depriving her and her 18-year-old son of visiting her husband who has been arrested since 2007 and sentenced to 22 years. He has four children, she highlighted. Several Israeli military vehicles invaded, on Wednesday at dawn, the Zbeidat town, in the West Bank’s Plains, in the Jordan Valley, and demolished two Palestinian homes. 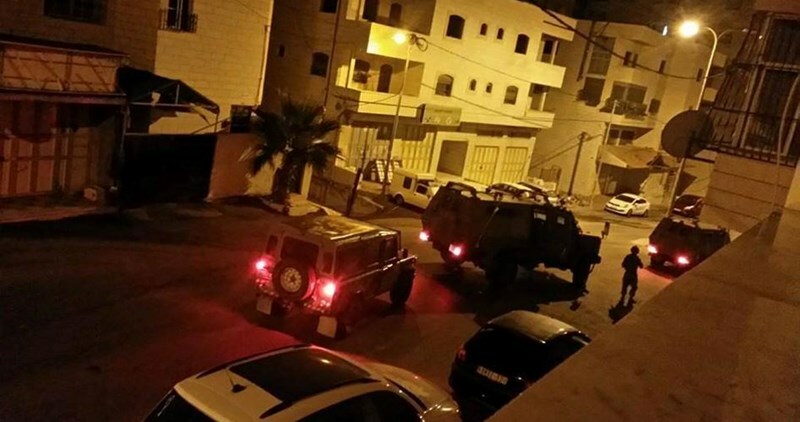 Several military vehicles invaded the town, violently searched a number of homes, and kidnapped two Palestinians, identified as Eyad Mohammad Abed Zbeidat, 35, and Mohammad Omar Zbeidat, 24. Eyewitnesses said the soldiers hurled a firebomb into Eyad’s home, causing parts of the property, including the furniture, to burn. Eyad is a supervisor at the Palestinian Education Ministry. They added that Mohammad is a farmer, and that the soldiers violently invaded his home and searched it, before abducting him. Dozens of Israeli soldiers surrounded, late at night, the al-‘Eesawiyya town, in occupied Jerusalem, and conducted massive invasions and searches of homes, throughout the night until dawn hours, and kidnapped 25 Palestinians, including 18 children. The Wadi Hilweh Information Center in Silwan (Silwanic) in Jerusalem, said the soldiers closed all roads leading to the town, and prevented the Palestinians from entering or leaving it, while a military helicopter hovered overhead. The soldiers then started an extensive military campaign targeting dozens of homes throughout the town, as the soldiers broke into them and violently searched them, causing excessive property damage, before kidnapping 25 Palestinians, and summoning dozens for interrogation. All kidnapped Palestinians were moved to the al-Maskobiyya interrogation center and the police station in Salaheddin Street, in Jerusalem. In addition, the soldiers summoned at least 20 Palestinians for interrogation, and confiscated two cars belonging to a family in the town. The soldiers distributed leaflets warning more severe measures, invasions, abductions and closures, “should the incitement continues,” according to the statement. Al-‘Eesawiyya has been subject to daily invasions, an issue that leads to ongoing clashes between the soldiers and dozens of local youths. The invasions also include photographing homes, stores and other property, and addition to delivering demolition orders against homes. 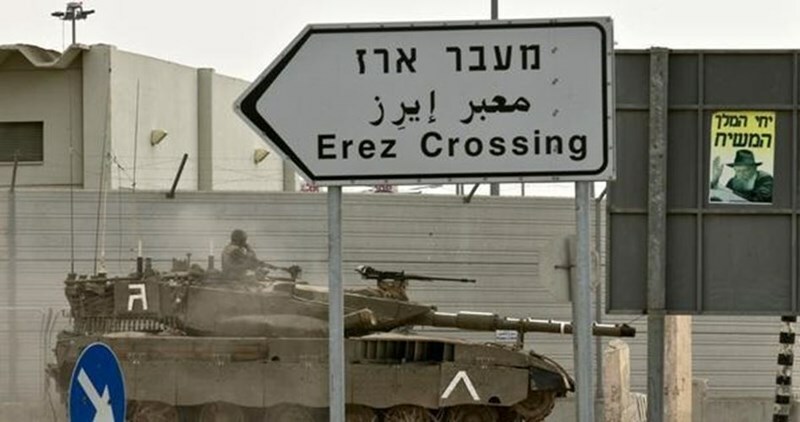 Four Palestinian patients and one citizen, who escorted his ill relative, have been kidnapped by the Israeli occupation forces (IOF) at Beit Hanoun (Erez) border crossing, north of the Gaza Strip, since the start of the current year. Al-Mizan Center for Human Rights stated in a report on Tuesday that the Israeli policy of arresting patients hinders their arrival at hospitals in proper times and leads their health conditions to aggravate. The center said that Israeli soldiers kidnapped on Monday a wounded young man named Mahmoud Abu Ful, from Jabaliya refugee camp, after he went to the crossing to process his application for travel to a hospital in Nablus. The center strongly condemned the detention of Abu Ful and accused Israel of persisting in blackmailing Gaza patients and exploiting their suffering to pressure them into giving security information.